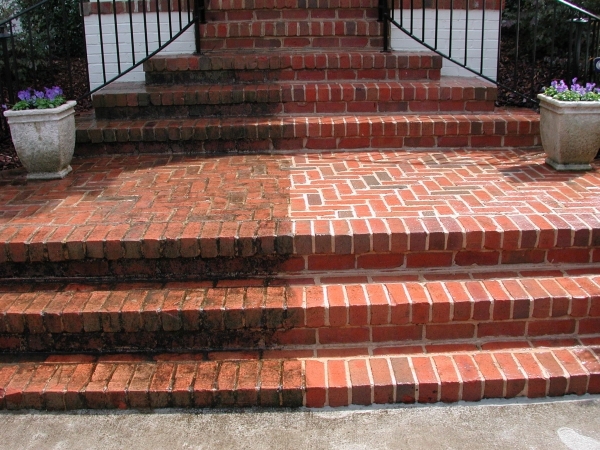 Finding a company that provides premium quality, affordable pressure washing services in Chattanooga, TN, Cleveland, TN, and parts of the surrounding states has recently become much more simple. T-Mac Enterprise has announced their service area to now include Tennessee, Northern Georgia, Northern Alabama and Southern Kentucky. Clients couldn’t be more pleased. There’s a great many circumstances when a professional pressure washing service is a must whether to clean up a commercial space. Using the right company, with both skill and experience and the results can be far beyond dramatic – often leaving a building or property looking as if it were close to brand new. In that spirit T-Mac Enterprise recently announced from their Cleveland, Tennessee home base, that they have greatly expanded their surface area in response to requests from customers, now covering parts of surrounding states. According to the company, clients of their commercial services and concrete cleaning are quite diverse, including businesses like gas stations, apartment complexes, retail properties and much more. Commercial jobs are being accepted in Tennessee, Southern Kentucky, Northern Georgia and Northern Alabama. If there’s any questions about services, rates or if a property is within their service area T-Mac Enterprise recommends contacting the company and an agent will quickly answer any and all questions. Feedback from clients has been completely positive. For more information be sure to visit http://www.tmacpressurewashing.com.